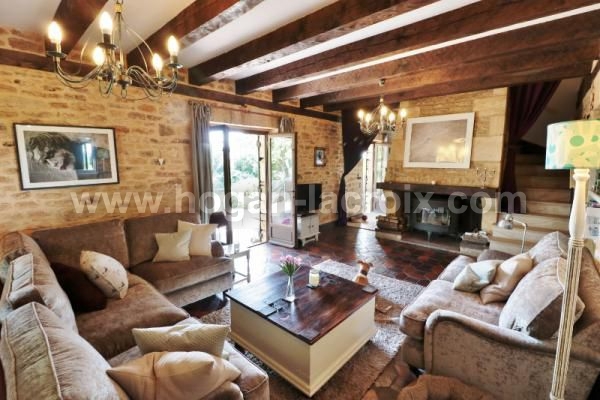 IN A VERY ATTRACTIVE LOCATION, CLOSE TO SARLAT & SHOPS, VERY BEAUTIFUL PROPERTY INCLUDING A LARGE FAMILY HOME WITH 6 BEDROOMS, 2 HOLIDAY COTTAGES, A SWIMMING POOL AND 11.6 ACRES !!! IDEAL B&B AND HOLIDAY RENTAL !! 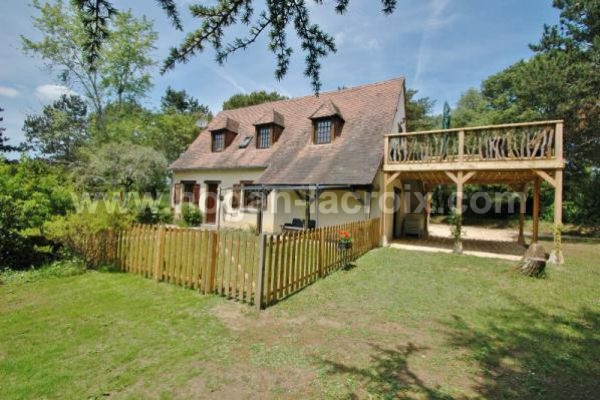 Garden level : hall 20m² with cupboard, dining room 27.8m², lounge 26m² with fireplace opening on covered terrace, kitchen 13.4m², summer lounge 17.4m², summer kitchen 20m², office/room 13.8m², laundry room (poss. shower room) 6.8m², wc. Garage. First floor: 5 suites : bedroom 18m² with shower room/wc 2.8m ² opening on terrace - bedroom 12m² with bathroom/wc 5m² and cupboard - bedroom 16.5m² with shower room and wc - bedroom 16.5m² with shower room/wc 3.5m² - bedroom 16.2m² and bathroom/wc 4.8m². Office 6m². 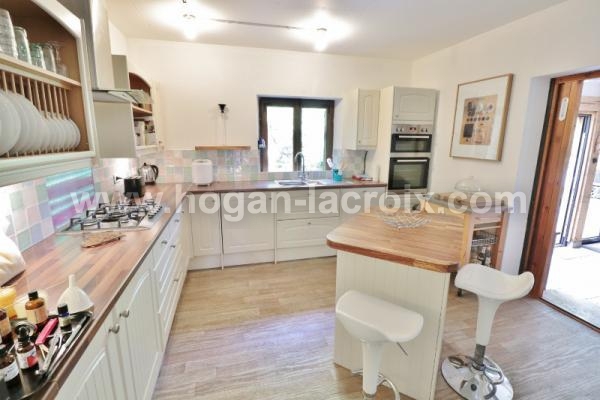 Garden level: HOLIDAY COTTAGE 1: living room/kitchen, bedroom with shower room/wc, terrace. Workshop. First floor: HOLIDAY COTTAGE 2: terrace, living room, kitchen, bedroom, bathroom, wc. 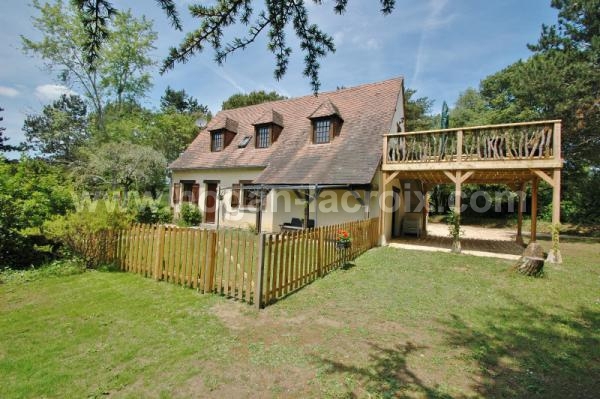 Workshop - Cellar 17m ² - Terrace - Swimming pool 12x6m with electric cover - Very beautiful park 11.6 acres. This property offers multiple possibilities such as a rental activity : holiday cottages - B&B - glamping. 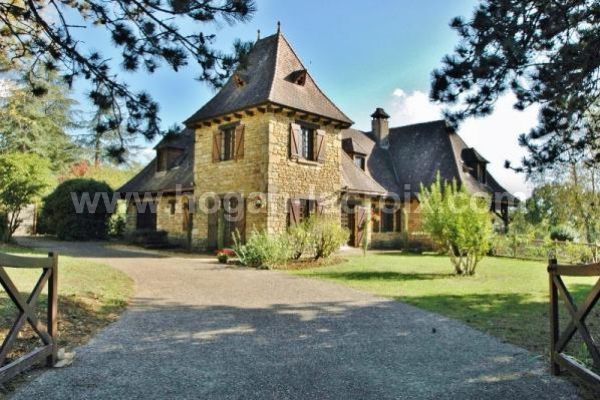 The location, close to the medieval centre of Sarlat (4km) allowes you to work almost all year round - Close to shops. MORE PHOTOS ON REQUEST !